This is our most booked trip for Certified divers!! Our specialty!! Departing Marlin Marina, Cairns, Queensland, by 7.30 am you get to spend over 24 hours on the Great Barrier Reef itself - 11.00 am till 11.45 am the next day! 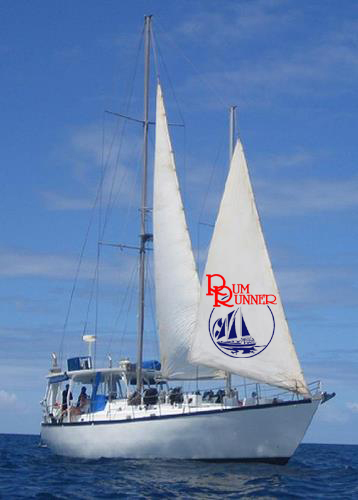 That's 2 full days and 1 night aboard, "Sleeping on the Reef". Returns 3.00 pm nest day. 2 Day / 1 Night Certified Diver. Was $620 now $440 - new online booking special for 2017. Departing Tuesdays, Thursdays and Saturdays, we arrive at the Outer Barrier Reefs (Thetford or Moore Reefs) for up to 6 Certified Dives - including one Night Dive. 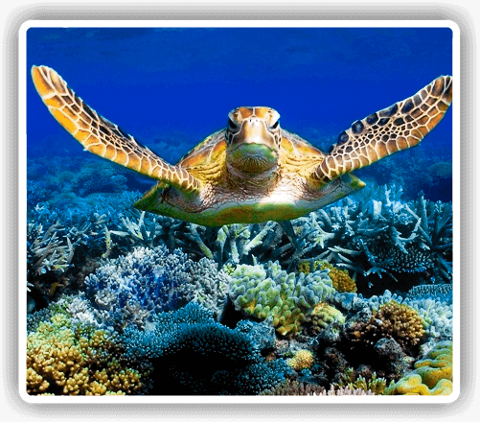 We love these reefs the best, due to there still great coral coverage and fish life. Visibility ranges from 3m to over 20m dependent on the weather and tides, with max. depths from 18m to 10m. This tour caters very well for those straight off their "open water"course and those who have not dived for awhile, and to divers with a little more experience, and to all wanting to say they have scuba dived the Great Barrier Reef. A Dive Briefing is given during the journey out and we are ready to dive by the time we arrive at our first Site. Divers are all buddy in pairs and can follow our Dive Leader to allow more time to relax and focus on the beauty of the Great Barrier Reef, or those with more experience can buddy dive off on their own together. *Reef Tax : Admin fee, Port Charge and Fuel Levy and GBRMPA EMC ($6.50/day). From 11.00 am : Arrive at Thetford Reef. 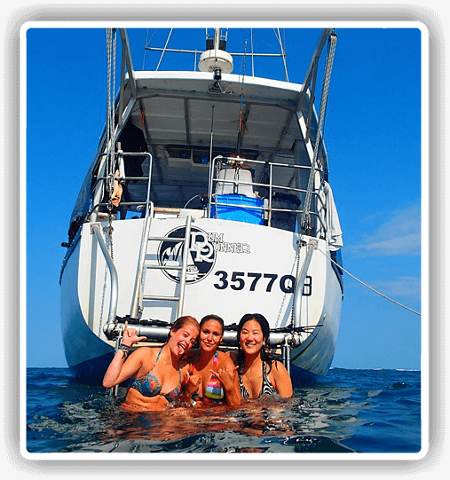 4 dives ( 3 day dives and one night dive) and snorkeling sessions. Arriving at Thetford Reef the Dive Instructor will brief everyone on general dive safety and details of the first dive site. 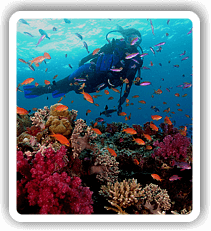 Diving will be tailored to suit individual experience levels. If anyone is a bit rusty one of the crew will accompany him or her on their first dive if they wish, guided dives are included. It is time for some of the best diving and snorkeling in the world; Sites include The Labyrinth, the Lagoon, Hurricane Bay, Coral Gardens ; from shallow coral gardens, isolated pinnacles to caverns, swim through's and spectacular walls, capped off with a fantastic night dive. Included: 6 dives, Tanks, weights, air fills; All bedding linen, All meals, Light refreshments provided after dives Coffee, tea, hot chocolate, BYO alcohol and other drinks, Tap drinking water. Special inclusions: 6 dives, BCD, Regulator with computer, wetsuit, plus any other gear as required.